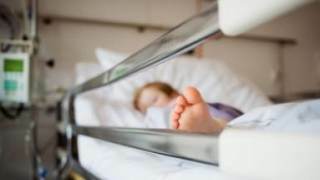 The Belgian Senate has voted in favour of an alarming bill that would give children the right to seek euthanasia. The vote of 50-17 in favour of the proposal will now go to the House of Representatives for further scrutiny. If passed, it will make Belgium the first country to introduce euthanasia for minors. The Belgian Senate has voted in favour of a bill that would extend euthanasia to children in a vote of 50 to 17. The bill will now go to the House of Representatives for further scrutiny, and if passed will make Belgium the first country to introduce euthanasia for minors. The proposed legislation sets no age limit, and children who wish to access the procedure will be required to show that they “possess the capacity of discernment" and understand what they are doing. The bill is strongly opposed by Christian and Catholic groups who have issued a joint declaration describing the proposal as morally and ethically unsound. The proposals have also been criticised by the European Institute of Bioethics (EIB) in a report published by the organisation last year. Carine Brochier of the EIB told the Deutsche Welle newspaper: "A child cannot buy a house in Belgium. A child cannot buy alcohol in Belgium. And this law would allow a child to ask to be killed. And that is a real problem. The proposed legislation will also allow the procedure to be accessed by those suffering from Alzheimer's and other diseases leading to advanced dementia.